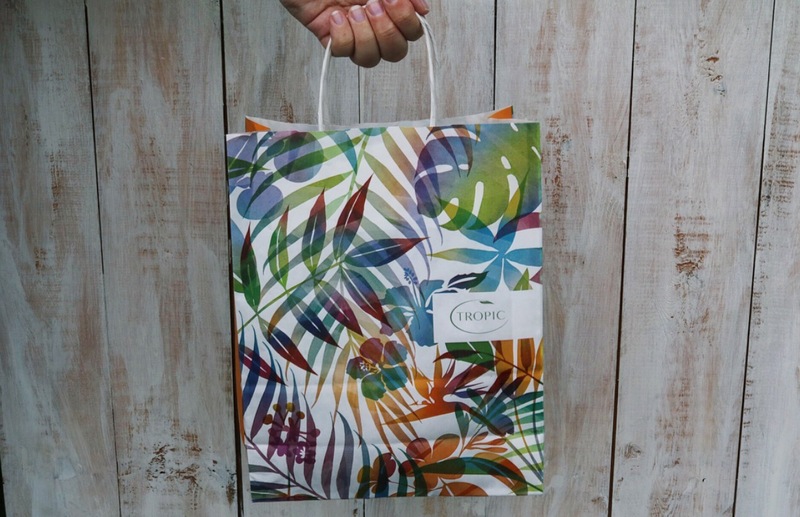 Tropic is a skincare brand that produces natural skin care products including face, body, and makeup. 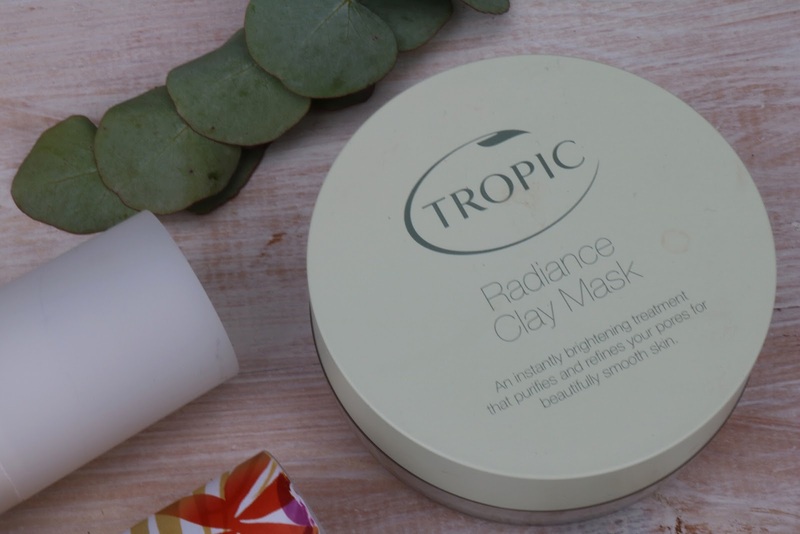 The products are made using natural formulations from tropical plants, derived from all the natural goodness from plants including the flower, stem, roots, leaves, seeds and fruit. 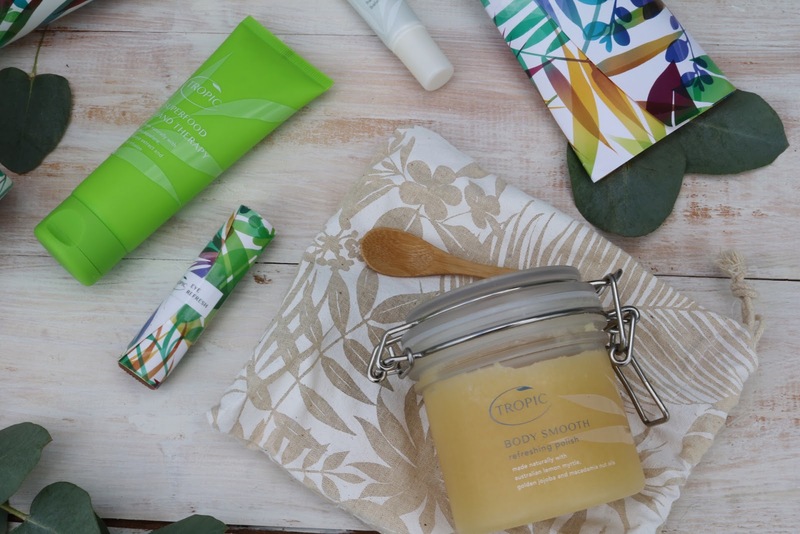 The mission of Tropic is the clear, healthy skin of their customers and for this reason, they only use the richest, most nutritious ingredients out there. The principles at the root of the company and each product they produce are ‘Pure, Honest, Effective’. As lovers’ of animals they do not test on animals and are certified by Cruelty-Free International, with their products home to the leaping bunny stamp. They are also certified by The Vegan Society and hold the sunflower vegan symbol. Tropic place an emphasis on honesty, placing their ingredients in not only the INCI system but also in a plain English translation of what those actual ingredients are, so you don’t have to cause those extra few frowning wrinkles whilst you try to decipher those big jargoned scientific words. Each item also holds a ‘best before’ date so that you know how fresh the ingredients in the product are and when to finally toss it. Helpful huh? Because products are made using premium natural ingredients, this means they can be used on all skin types, even the most sensitive of skin. 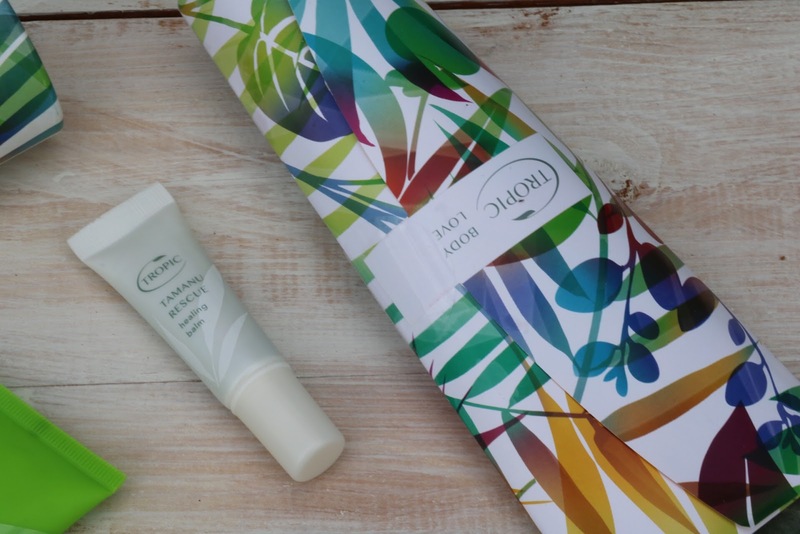 I have always suffered from sensitive skin and seem to have never truly found a product hydrating enough, though Tropic has exceeded all my expectations and ticks all the boxes I need in my skin care. 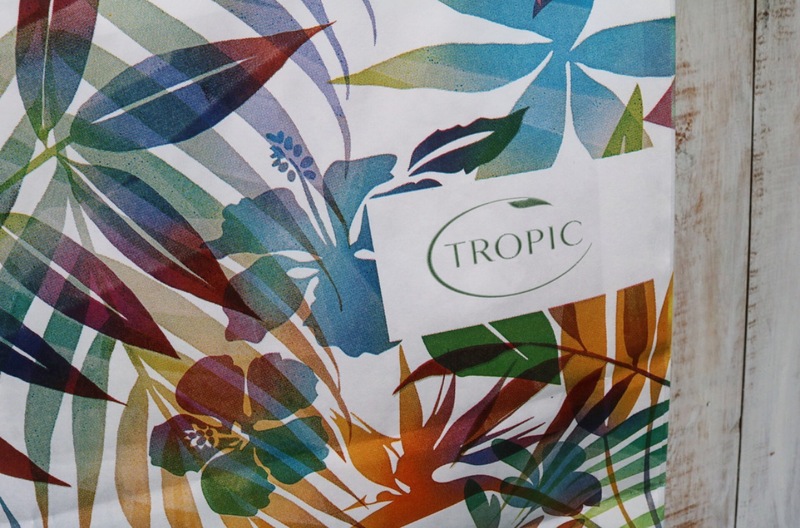 Tropic only use 100% natural derived ingredients or those that are nature identical. A small number of their products have safe synthetics, though this is only used as a last resort when there are no natural or vegan alternatives. 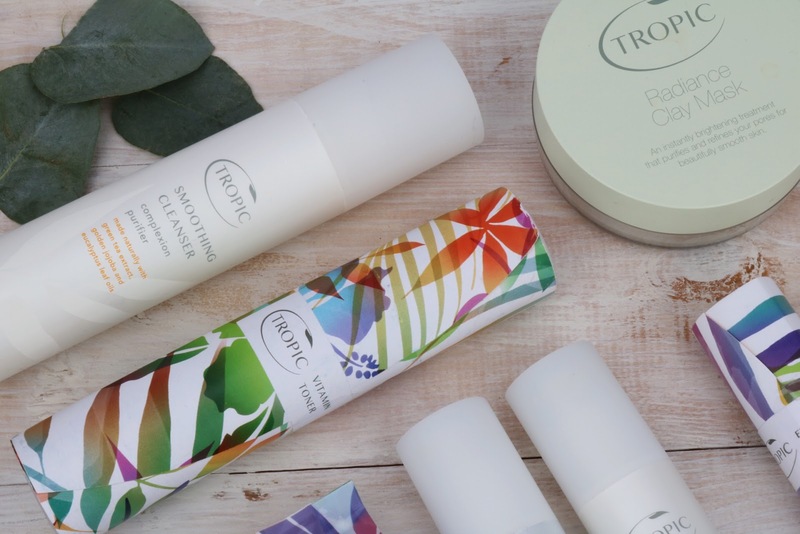 Having said this, as a rule, Tropic products are free from Parabens, Sodium Lauryl Sulfate, Phthalates, alcohol, Petrochemicals, Gluten, Harsh preservatives, Harmful Synthetic Fragrances, Toxic Chemicals and so much more. You can view the whole list here. Why have I never seen Tropic at the Drugstore? 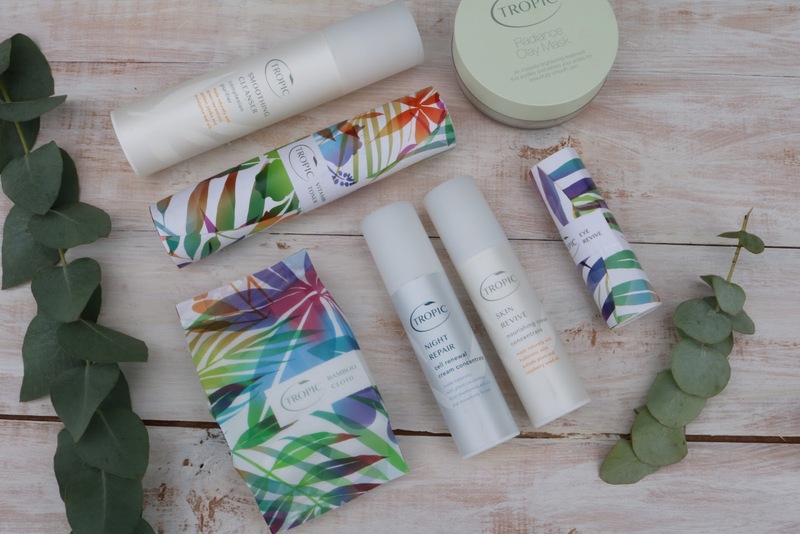 The reason you won’t have ever seen any of the Tropic products in your local drugstore is because of their natural ingredients. Each product is made to order to ensure you have the freshest ingredients going onto your skin. Each and every product is manufactured in the company’s Beauty Kitchen in Surrey, which means when you place an order the product you get has been produced specifically for you instead of sitting on a shelf, being preserved by harsh chemicals. 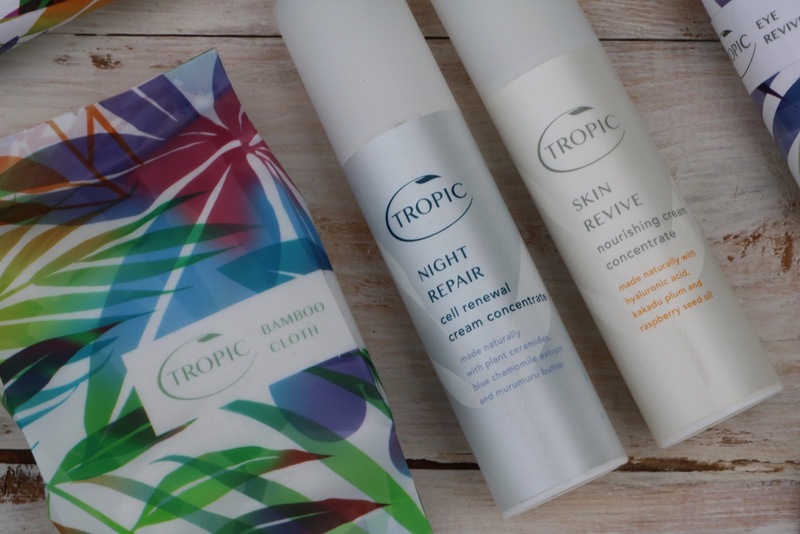 Tropic has quickly become my favourite skincare brand. Their products are luxurious, effective and don’t break the bank in the process. If that doesn’t sound good to you I don’t know what will. *You can read more about the brand and check out their products on their website here.